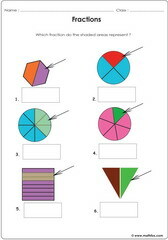 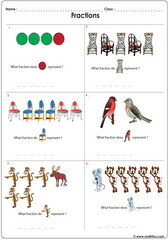 Fraction activities for children, Introduction to fractions, fractions illustrated with circles, fraction of objects on pictures, fraction vocabulary, addition of fractions, subtraction of fractions, multiplication of fractions, comparing fractions, equivalent fractions, mixed fractions, improper fractions, mixed fractions, convert fractions to decimals, convert fractions to ratios. 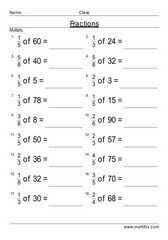 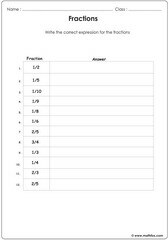 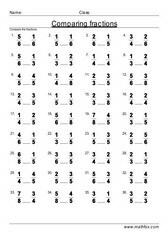 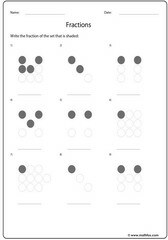 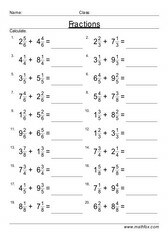 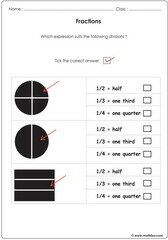 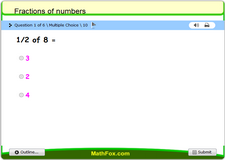 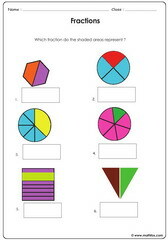 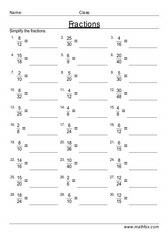 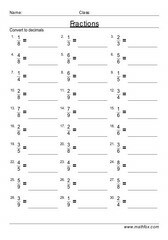 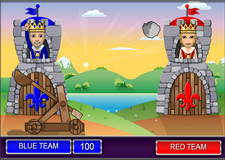 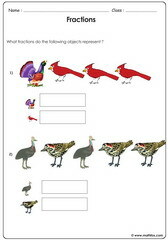 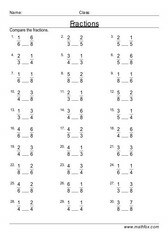 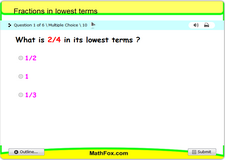 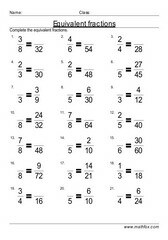 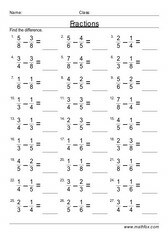 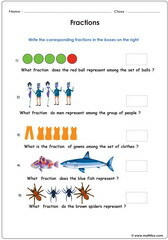 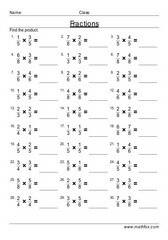 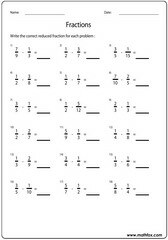 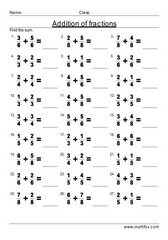 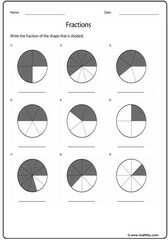 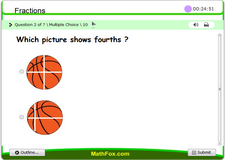 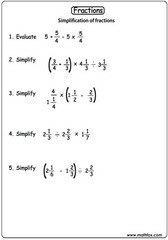 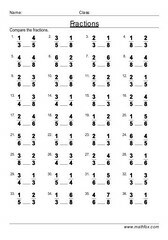 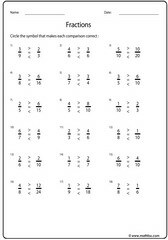 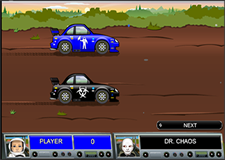 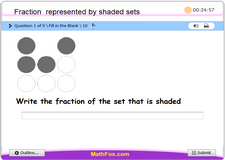 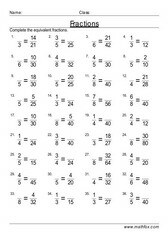 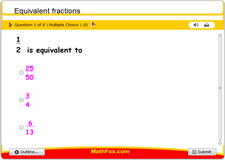 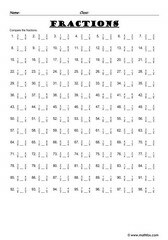 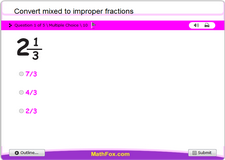 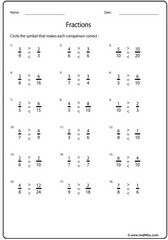 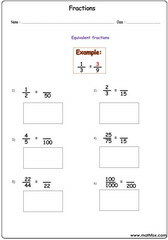 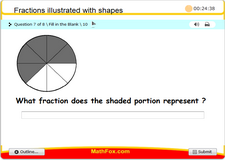 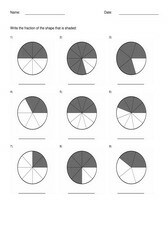 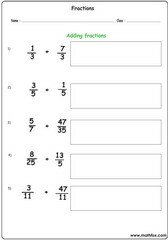 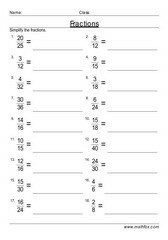 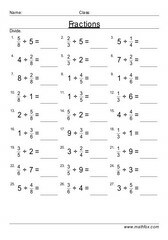 Activities on fractions - Math worksheets, games, quizzes, tests, PowerPoint games, board games, card games. 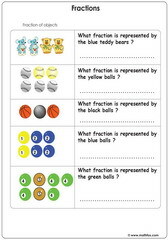 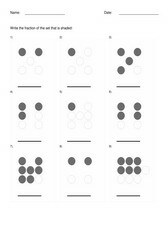 Fraction topics: Introduction to fractions, fractions illustrated with circles, fraction of objects on pictures, fraction vocabulary, addition of fractions, subtraction of fractions, multiplication of fractions, comparing fractions, equivalent fractions, mixed fractions, improper fractions, mixed fractions, convert fractions to decimals, convert fractions to ratios and more. 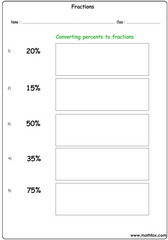 Suitable fractions resources for kids in the following grades : Pre-k, kindergarten, 1st grade, 2nd grade, 3rd grade, 4th grade, 5th grade, 6th grade and 7th grade.